Archive of posts filed under the Localization Tools category. 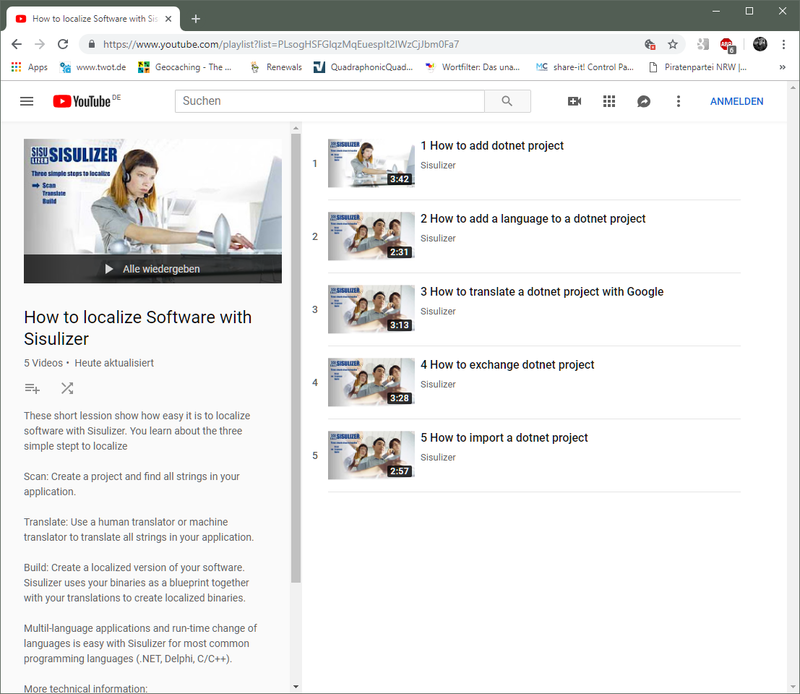 Tools around software localization and computer aided translation (CAT). we started a new series of Sisulizer learning videos on Youtube. Learn about the three simple steps to localize in narrated videos. Please don’t forget to subscribe to our channel. Are you developing in Delphi, and want to take a look beyond software localization? Delphi Developer Days 2010 is a five-city tour in the United States and UK/Europe this May – June 2010. We are proud sponsor of these interesting event from top Delphi experts Marco Cantù and Cary Jensen. Hurry, to get one of the last seats in London or Frankfurt. There web site is in any case worth a visit because of its nice list of Delphi resources like user groups.